They are just beverages you might think, but a discussion on coffee vs. tea can still get some Sri Lankans hot under the collar. “Sri Lanka is a tea drinking country”; “tea is part of our history and culture, coffee is not!” are just some of the arguments to be heard in recent times, over the relatively new phenomenon of coffee houses springing up all over the place, leading to a renaissance of sorts in coffee drinking in Colombo. Fact 1: Both coffee and tea were in fact introduced to Sri Lanka; by traders in the first case and colonizers in the second. Fact 2: Coffee was introduced before tea. The British tried mass scale plantations of coffee first, and if not for the blight of 1869 which wiped out most of the coffee plantations, we would be a coffee producing, coffee drinking nation even today. The British planters then experimented with cocoa and cinchona, which were similarly affected by blight, before settling on tea, which was more resistant to fungal attack. And the rest as they say is history. While coffee is not native to Sri Lanka, it was nonetheless present long before colonial powers set foot here; most probably due to the Arab traders who are likely to have transplanted them on the island. Thus the Dutch found coffee plants already existing in ‘Zeilan’ as they called it, but noted that the native people had no clue of its beverage value. Our ancestors used the leaves to flavour their curries and used the flowers as offerings in temples, and unfortunately found no use for the berries apparently. The word “coffee” entered English language in 1582 via Dutch koffie, borrowed from Turkish kahve, in turn borrowed from Arabic qahwa – an abbreviation of qahhwat al-bun meaning ‘wine of the bean’. There are several apocryphal stories to trace the discovery of coffee as a beverage, akin to the Chinese emperor’s story about tea. The most popular to date is the one about Kaldi the Ethiopian goat-herd. Kaldi, the story goes, found some of his goats over-active and spirited after consuming berries from a certain tree. He tried the berries himself and instantly felt rejuvenated and alert – so he brought his discovery to the monk of a nearby monastery. The monk rubbished his claims and threw the berries into a fire – from which an aromatic smell instantly sprang. This brought the other monks into the room to investigate. The now roasted beans were raked back from the embers, ground up and dissolved in water – giving rise to the world’s first cup of coffee. Whatever the truth of this story, there is probably some truth to coffee originating from Ethiopia, the only land mass in which wild coffee forests are still found and harvested from. Coffee has been known as a beverage to the Ethiopians at least since the 9th Century, with the Sufis of that country using it to keep awake during their night time devotions. 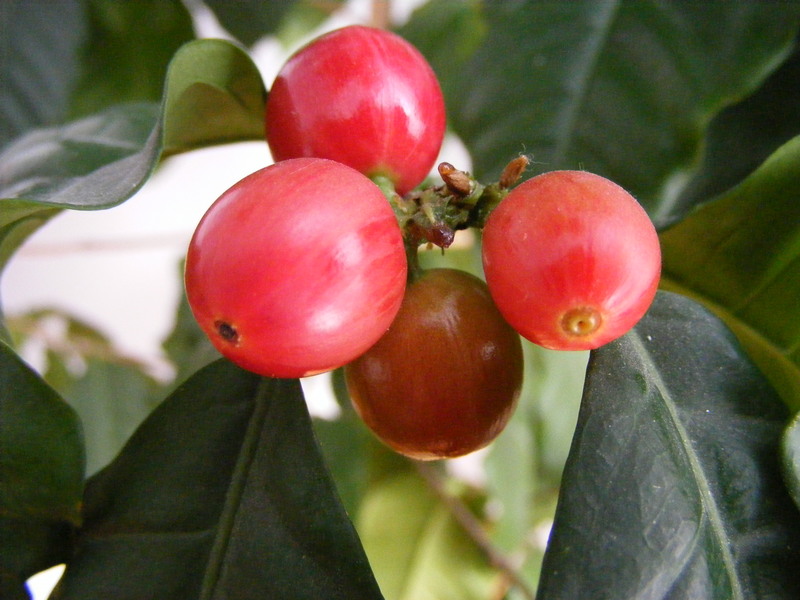 From Ethiopia, it found its way to Yemen, the first country to cultivate coffee. And from Yemen, it spread via Arab traders to the rest of the world. Inevitably, European travellers to the Middle East took back stories of the unusual dark black beverage to their homelands. By the 17th Century, coffee had made its way to Europe and became popular across the continent. Opponents however called it the ‘bitter invention of Satan’. Despite this, the beverage spread like wildfire. 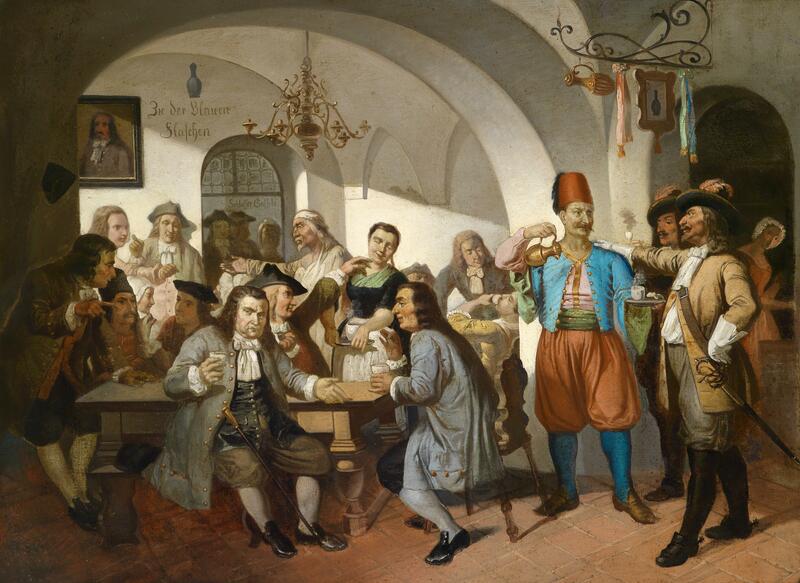 The first coffee house in Austria opened in Vienna in 1683 after the Battle of Vienna, by using supplies from the spoils obtained after defeating the Turks. The officer who received the coffee beans, Polish military officer Jerzy Franciszek Kulczycki, opened the coffee house and helped popularize the custom of adding sugar and milk to the coffee – today known as the wiener mélange! By the mid-17th Century, there were over 3000 coffee houses in England and 300 in London alone, many of which attracted patrons with common interests, such as merchants, shippers, brokers and artists. These coffee houses like their original counter parts in the Middle East served as centres for intellectual thought and debate – both religion and politics were widely debated; so much so that King Charles II sought to ban them. It is to be noted that coffee preceded tea in popularity even in the British Isles. It was Charles II’s wife, the Portuguese Catherine of Braganza who popularized tea drinking at the English Court. In the ‘New World’ meanwhile, coffee was introduced by the British, to New Amsterdam, a location later to be called New York! Though coffee houses rapidly began to appear there, tea continued to be the favoured drink in America until 1773 when the colonists revolted against a heavy tax on tea imposed on them by King George III. The aftermath of the revolt, known as the Boston Tea Party, was that tea drinking became ‘unpatriotic’ in America, giving rise to the ascendance of coffee in that region. And that in its turn has probably not just a little to do with the ascendance of coffee in the world today. On our own shores however, as more and more people turn to coffee drinking and frequent coffee houses, others are left soul-searching on their Sri Lankan ‘identity’. Is it all right to drink coffee? Is it alright to let it take precedence over tea? Yet, ever since the early 1800s, we have always had coffee plantations in this country. The blight did not entirely wipe out the plantations or the practice in 1869. Some continued to persevere. And as they continued to persevere, they also gave rise to coffee processing and marketing companies; Harischandra, Island coffee, Expo Coffee, and more recently Hansa coffee – all have their fair share of a coffee drinking Sri Lankan clientèle to cater to. While Harischandra and Island Coffee were popular in many areas of the South, the north developed a unique coffee blend of its own – the spiced coffee. People of the north, especially Jaffna would not dream of drinking their coffee without a few spices roasted and blended in as well; coriander, cumin and cardamom seeds are roasted with dried ginger to make a chukku kopi of a unique spiced up taste believed to have medicinal value. Many a housewife in the north takes pride in roasting this coffee on her own but it is also readily available pre-packaged. At about the same time C.A Harischandra started his coffee mill in the south, S.P Nadarajah started his ‘Anna Coffee’ in the north (1959). Asked what he thinks of the sudden phenomenon of coffee’s popularity in the capital, he appears a little bewildered. “I have seen those places in Colombo. It’s all rather surreal. A very long time ago, some of us in the coffee business were invited to Germany for a conference on the future of coffee. I was to attend but backed out due to other commitments at the last minute.